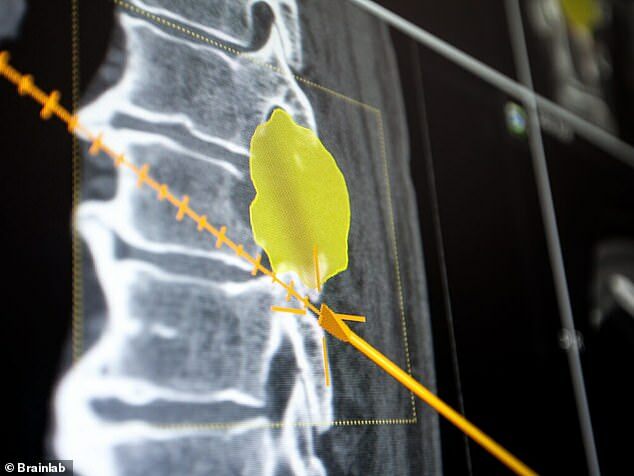 The system is intended to help surgeons navigate delicate spine procedures to correct deformities, remove tumors or screws to stabilize or repair the backbone. But according to the recall notice, the system has displayed incorrect visual information during high-risk operations. Sixty devices have been recalled after patients suffered botched surgeries, had to endure a second, corrective surgery or even died on the operating table – errors that warrant a Class I recall, the most serious kind. Any operation involving the brain or spine comes with considerable risks. A wrong move could lead to permanent damage, paralysis or death. Neurosurgery, which encompasses all things brain, spine and nervous system, has come a long way. Improvements to surgical techniques have been key, but better imaging technologies have arguably been just as crucial to making these surgeries safer and more effective. Advanced imaging software allows doctors to see details of each patient’s unique spinal and nervous system configuration clearly without doing a more invasive operation. Brainlab’s software is meant to track the location of surgical instruments in the patient’s body so that operating physicians know exactly what to avoid and when they are nearing vulnerable, important parts of the spine. But if the software bridging the gap between the instruments and the digital display is faulty, surgeons could find themselves unwittingly navigating their instruments toward instead of away from dangerous areas. And that, in fact, is exactly what has happened with the Brainlab Spine & Trauma 3D Navigation Software. According to the FDA’s description, the device has sometimes displayed the surgical field oriented 90 degrees off, so that instead of seeing the up-and-down orientation, a side-to-side one is displayed to the surgeon, or vice versa. The FDA’s recall reveals that 60 devices have been recalled, but not how many patients were suffered as a result of the malfunctions. It does, however, confirm that some have been injured and killed. ‘The FDA is aware that some health care providers have experienced navigational accuracy errors during surgical procedures when using frameless stereotaxic navigation systems,’ the recall says. Based on its analysis, the FDA blames more than just the software, however. It listed issues with the both the hardware and software of Brainlab’s system, human errors, issues with compatibility between the software and surgical instruments, poor tracking capabilities, low image quality and the plain complexity that comes with operating on the spine and brain. At the beginning of March, Brainlab sent a warning and instructions to fix its devices to hospitals that owned and used them. It advised they restart the device, and re-orient it. The company has promised to start rolling out a corrective software update in June.